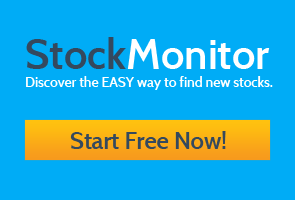 You're A Gap Trader - Want To Find Some Stocks? 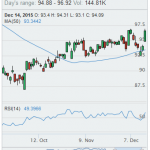 You are here: Home / Filter / You’re A Gap Trader – Want To Find Some Stocks? There are typically 4 types of gaps which happen on stocks, from a technical perspective. All of them can be traded in some way, shape or form. Each have their own characteristics and knowing them can help you trade the moves, but one thing they all have in common is; they all start with a single gap. We recently added a new feature to our stock filter which allows you to quickly find stocks that have gap at today’s open price. It detects gaps which are 2%, 3% or 5% up or down from the previous close, and you can edit these percentages if you want to refine it. But which type of gaps will these turn out to be? These type of gaps happen usually when the market is going no where, the can happen in the middle of a range and often they can be filled (but not always). 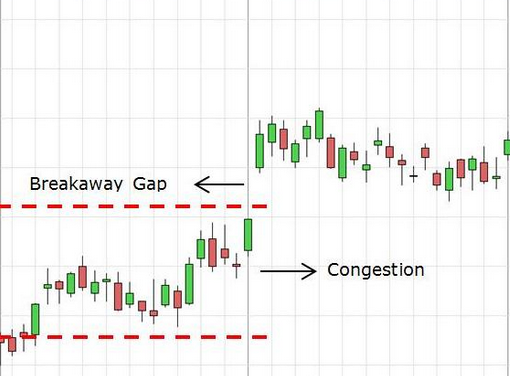 Common gaps don’t usually give many opportunities to trade, but there are day trading strategies built around gaps closing. This gap type usually happens when a range is broken, stops are taken out, or shocks to the market with news or data. Often they breakaway above or below an obvious support or resistance, and should continue without turning back to close. Many traders use the gap as a support / resistance, with the candle low or high being the area they place a stop loss. 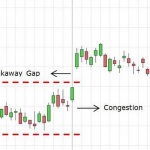 It’s hard to really define huge differences in this type of gap to breakaway gap, but the major observation is that they often start new moves in a trend, when momentum builds the price gaps up or down, and “runs away” from the last prices. An exhaustion gap is simply where the market has ran out of momentum, and reverses when traders close positions. Think of a trending move, everyone is buying, more and more investors are sinking time and energy into a stock, suddenly there are no more buyers. The price may gap down to try test for volume at another level. It simply ran out of steam. It’s exhausted. All these gaps begin with the initial move. It’s not until a few days that it becomes apparent that it’s falling into one of the above categories, although in the case of breakaway gaps it may be more noticeable that the price is flying away from a long established range. 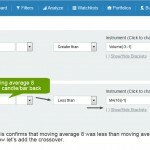 Using our new gap detection, you can find stocks that have gapped right after the market has opened, and decide (based on other technical analysis) if they are worth trading. Add them to a watch list and see how they behave. You never know, you might find a gem in there!